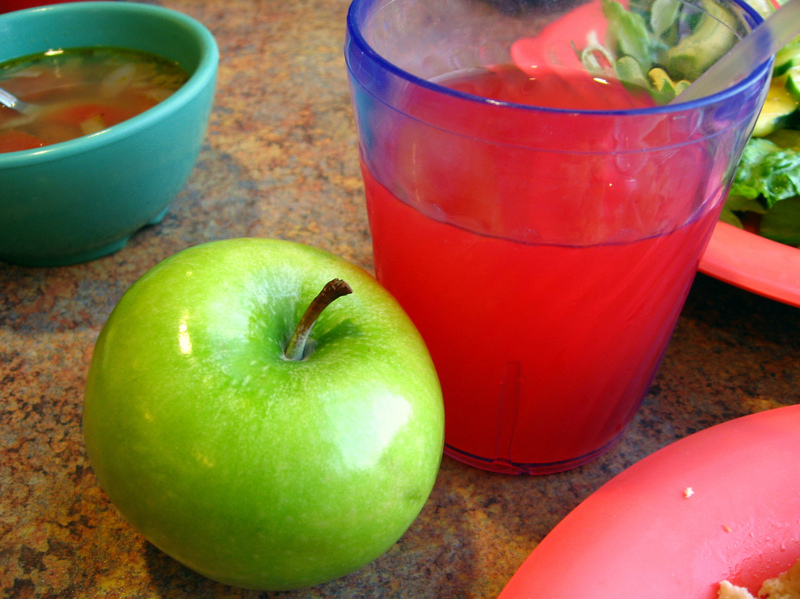 Fruit Juice Vs. Soda? Both Beverages Pack In Sugar, Health Risks : The Salt Juice seems more natural and healthful than soda because it comes from fruit. But a study found that fruit juices have almost as much fructose as soda, which may make them just as unhealthful for you. Better for you than soda? With 49 grams of fructose per liter, not much. When it comes to choosing between sodas and juices in the beverage aisle, the juice industry has long benefited from a health halo. We know that juice comes from fruit, while soda is artificial. In particular, the sugars in juice seem more "natural" than high fructose corn syrup — the main sweetener in so many sodas. 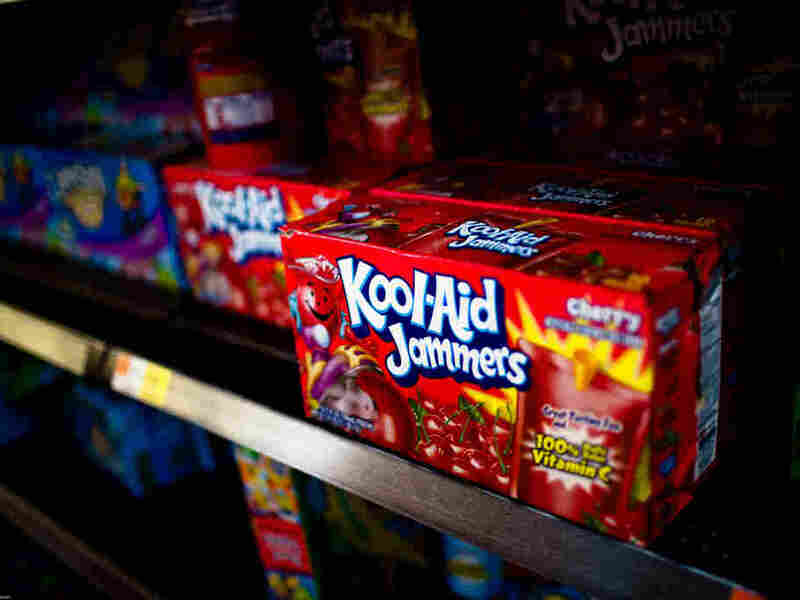 After all, we've gotten rid of most of the soda we used to offer kids at school, but we still serve them lots of juice. But a study published online in June in the journal Nutrition shows that on average, fruit juice has a fructose concentration of about 45.5 grams per liter, only a bit less than the average of 50 grams per liter for sodas. The sneakiest — and sweetest — juice is Minute Maid 100 percent apple, with nearly 66 grams of fructose per liter. That's more than the 62.5 grams per liter in Coca-Cola and the 61 grams per liter in Dr Pepper. Michael Goran, the director of the Childhood Obesity Research Center at the University of Southern California, led the study. He says he decided to measure the fructose, specifically, in juices and sodas because of a growing body of evidence suggesting fructose is a riskier substance than glucose. "The human body isn't designed to process this form of sugar at such high levels," Goran said in a statement. "Unlike glucose, which serves as fuel for the body, fructose is processed almost entirely in the liver where it is converted to fat, which increases risk for diabetes, cardiovascular disease and liver disease." Goran's assertion is not universally accepted. Other health researchers, like Fred Brouns at Maastricht University in the Netherlands, say sugar is basically sugar. He has argued that we should spend less time fixating on fructose and its role in the emerging chronic disease epidemics and more time looking at sugar and overconsumption overall. The fructose in fruit comes with fiber, which slows down and reduces the absorption of the sugar in the body. Goran says that while high fructose corn syrup in soda and food has become a focal point for researchers and public health advocates in recent years, there's been less attention on the link between fruit juice and obesity and diabetes. "But it's hard to imagine why any there's reason why juices wouldn't be as harmful as sodas if they're delivering the same amount of sugar," he tells us. But, Goran adds, if we're getting fructose from whole fruit, that's a different story. The fructose in whole fruit comes with fiber, which slows down and reduces the absorption of the sugar in the body, "serving as a sort of antidote to the negative effects of fructose metabolism." Barry Popkin, a leading obesity researcher and professor of nutrition at the University of North Carolina, Chapel Hill, agrees that fruit juice consumption is associated with health risks because of the high sugar content. "Yes, from our long-term, huge studies in Singapore, Australia, the U.S. and Europe, I think 100 percent fruit juice is as bad as sugar-sweetened beverages for its effects on our health," he tells us. And, Popkin adds, every long-term study on the effects of 100 percent fruit juice intake on diabetes risk shows a very significant risk, too. Popkin notes that only about nine countries have banned fruit juices from schools. "However, all countries now say a maximum 4 ounces of fruit juice whereas 20 years ago we said unlimited," he adds. So what's a juice lover to do with so many supersweet products on the market? As we've reported, some beverage makers are now starting to cut the sugar. Goran recommends diluting juice you buy at the store with 50 percent water. "From a public health perspective, we're going to need to change the cultural norms about how sweet things like juice really need to be," he says.